Pastel painting done at Lucidity 2017 in the ArtTemple. 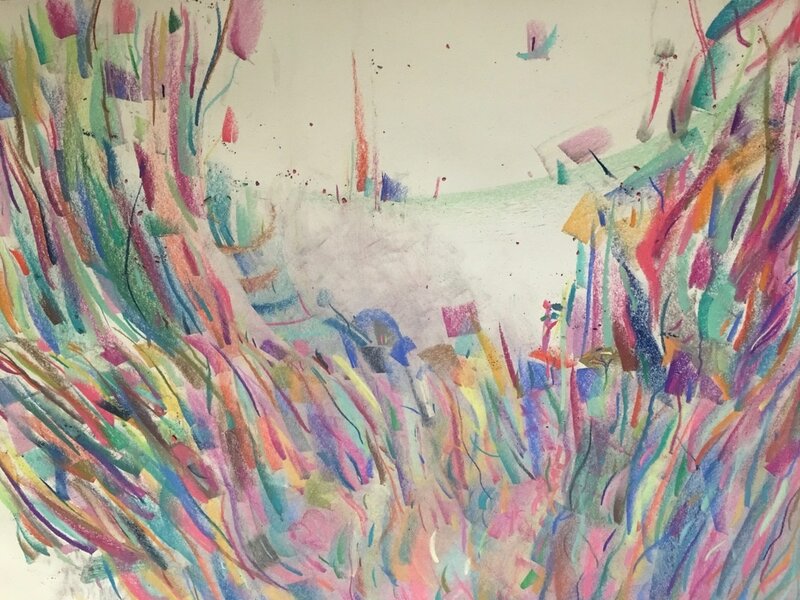 "Rainbow Forest" is a meditation on the days earlier hike. Every stroke was made while saying "Only Love"
My name is Angelo di Nallo and I am a ten year veteran of the animation industry. My first job was working as a co-creator for Nickelodeon's "Bradwurst" with Jason Plapp. I am currently working at HOTHOUSE as an animator on season three of Mr. Pickles.